(W) Greg Pak (A/CA) Aaron Kuder. 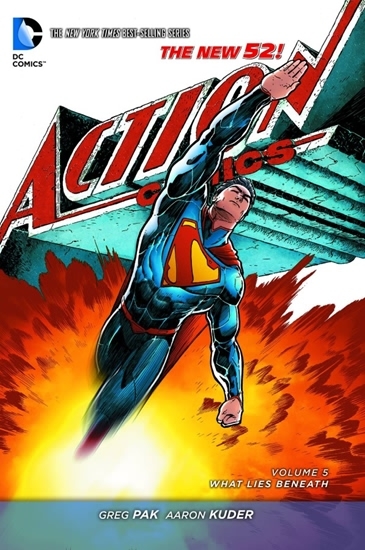 These stories from ACTION COMICS #25-29 and SECRET ORIGINS #1 feature a BATMAN: ZERO YEAR tie-in starring a cocky young Superman who must battle the forces of nature to save Gotham City! Then, all hell breaks loose as Superman is caught between an alien menace and the super-powered soldier the U.S. Army has sent to kill it.